As the Packers open camp, they will begin the process of putting each player through a medical exam to ensure that they are healthy and ready to prepare for the upcoming season. This is also the time when players reconnect and catch up on what they have been doing during the offseason. One face that will be visibly absent for the first time in 8 years is Nick Collins. The Pro Bowl safety was hurt in week 2 of the 2011 season and never returned after surgery to repair a herniated disk in his neck. The team monitored the surgery and healing process closely during the offseason and were faced with the difficult decision to release Collins when it became apparent that continuing to play presented too much risk. 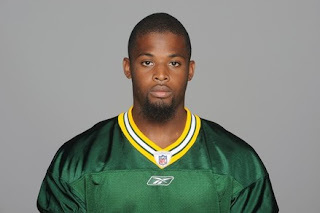 The Packers also have just released Charlie Peprah, likely due to his slow recovery from offseason knee surgery. This leaves the safety position seemingly thin entering this season, but not so fast. With a few new faces, and a few very familiar, Coach McCarthy and staff have the fortunate problem of having to decide which young talent will don the Green & Gold. Below is a breakdown of those who will be vying for a safety spot on this year’s roster with, perhaps, a surprise or two. . .
Burnett’s 2011 season was, for all intents and purposes, his rookie year. After being drafted with the 7th pick in the 3rd round of the 2010 draft, Burnett tore his ACL 4 games into the 2010 season, thus ending his year. 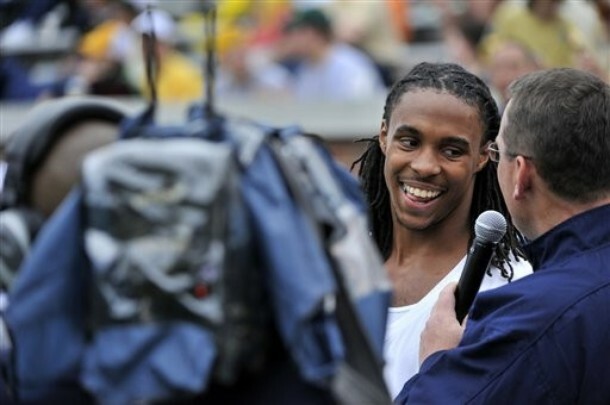 General Manager Ted Thompson traded up to grab the ball-hawking Burnett in the hopes that he could unseat the incumbent and oft-injured Atari Bigby. Until his knee injury, Burnett had started all 4 games and was performing adequately under the tutelage of Nick Collins. He posted 1 INT and was good in run support. After rehabbing the injury, Morgan showed up at 2011’s training camp ready to go and quickly reclaimed his starting spot in the base defense. He posted over 100 tackles, 78 of them solo as he learned on the fly. Burnett suffered a broken hand during a mid October practice and appeared headed back to the inactive list for the second time in as many years. In a display of his toughness and determination to play, Morgan was back on the field the following week with his broken hand in a club cast. Obviously, the use of the hand is very important to a defensive back and the fact that the team was comfortable playing him with virtually one hand speaks volumes as to how highly regarded he was and is. Burnett added a sack to last year’s stats and was fairly solid in run support, one of the reasons the Packers were so high on the Georgia Tech standout. Barring injury, Burnett will be on the field when the Pack’s defense plays their first snap this year. Now with a full year and another offseason under his belt, he should continue to improve his level of play and hopefully replace some of what was lost with Collins’ departure. Jennings was an undrafted rookie last year and his quiet-but-steady style of play caused quite a buzz during last year’s training camp. He clearly caught the coaching staff’s eye as he earned a roster spot after the final cut-down. He played mostly on special teams in 2011, seeing very spotty time on the field in mop up duty and for a decent stretch during the team’s final game vs. the Detroit Lions in week 17. That experience will almost certainly earn him a spot on this year’s team, but Jennings has his sights set higher. It’s his work ethic and patience that have him positioned to make a run at one of the starting safety spots on this year’s defensive unit. 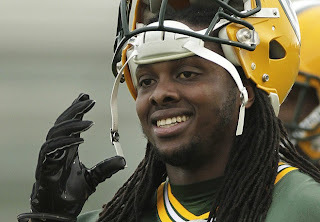 With Peprah sidelined during May’s OTA’s, Jennings took most of the reps with the 1st defense. He made a spectacular play, intercepting a low Aaron Rodgers’ pass during one of the practice sessions, a play that had all in attendance in awe of his athleticism. While it’s nearly certain both Jennings and McMillian will crack the roster, when it comes to playing time at safety it will likely come down to Jennings’ experience in the defense and on special teams versus McMillian’s potential and performance in camp. I’d give Jennings a slight edge with McMillian never having played in any sort of NFL game situation. Levine was signed as an undrafted free agent in May, 2010 after a stellar tryout. He spent the 2010 season on the team’s practice squad and was released after the final roster cut-down in August, 2011. In mid October, Levine was signed back to the Packers’ practice squad where he spent the remainder of the 2011 season. Levine did not participate in the NFL Combine in 2010, but did attend a Pro Day workout on campus and was brilliant. According to Gil Brandt, long-time and highly respected former NFL Scout, Levine put up better numbers than any safety that did attend the Combine. Levine wasn’t drafted, so was available to any team interested. Credit goes to Reggie McKenzie, former Director of Football Operations, for spotting Levine and locking him up. Levine will likely have a tough time cracking the team’s roster and because practice squad players can only remain on a team’s practice squad for 2 years, the team will likely face a tough decision. He is a strong player (19 reps of 225 lbs) and with some experience in the system already under his belt, he would become a viable option if an injury or circumstance presented itself. Yes, you are seeing correctly and no, you have not inadvertently wandered into my breakdown on the Corners (coming soon!) Now, let me preface this by saying that Charles Woodson will be on the 2012 roster so this is not to say he is in the mix to “fight” for a spot at safety. But I also told you there would be a surprise or two! 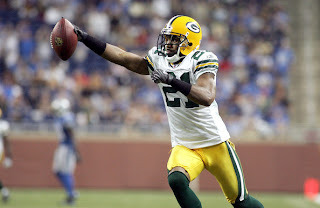 The big question coming into this season and with Nick Collins retiring was, “Is Charles Woodson finally moving to safety to make way for a developing and, frankly, faster corner?” The answer is yes. . and no. 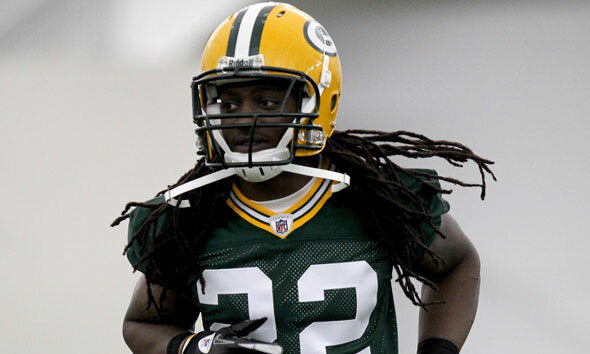 Dom Capers’ defense calls for many variations and looks. Often times last year and in recent years past, Woodson has lined up on the opponent’s slot receiver. This is what Capers refers to as the “All Corner Okie” and Woodson is lined up as a “safety” in this set. If you ask Capers and Coach McCarthy, they will both tell you that defining the position as corner versus safety is sometimes meaningless because of the many responsibilities and sets that exist. On one play, he’s more of a nickel back and on the next, he’s covering a tight end or blitzing off the edge. This comes in handy when you’re a team in the situation that the Pack are in. Having a solid and savvy vet at one or both safety positions is often key to a team’s success on defense. See the 2 most recent Super Bowl championship Packer teams that featured LeRoy Butler & Eugene Robinson (’96) and Nick Collins (’10). Having “Wood” out there in any capacity with a stock of youth at DB serves the Pack well as long as he has the will to play. Over the past few years, he has displayed how his knowledge of the game and smarts can make up for any loss of speed, ability, etc. Call him what you will. At the end of the day, Wood will be wherever he’s needed most on the field.